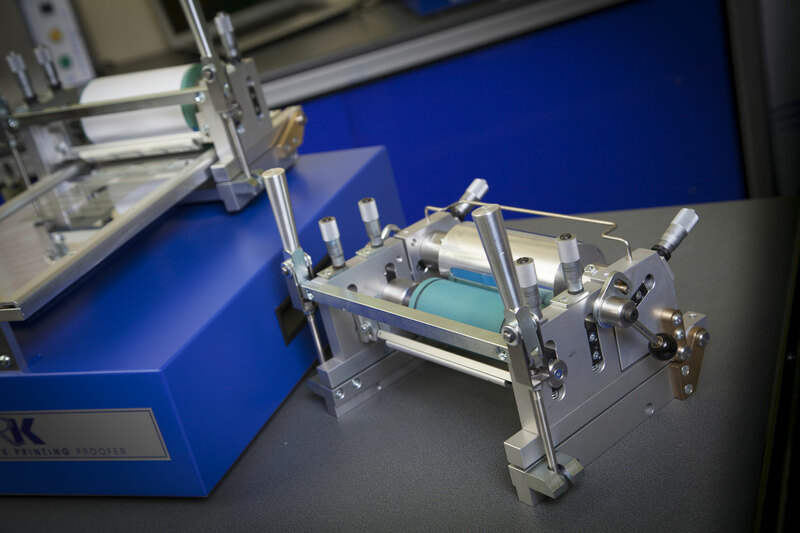 RK PrintCoat Instruments manufacture a range of sample preparation equipment/ print testing equipment with one common theme, production of repeatable samples. The equipment is mainly used in three areas R&D, QC and for small scale production of specialist products. These samples are used for customer presentation samples, computer colour matching data, printability testing and to test for gloss, strength, weathering etc. dyestuff suppliers and manufacturers of textiles, adhesives, papers, films, foils and medical and pharmaceutical products. RK’s machines have been installed worldwide for various application techniques most of which fall into the categories of Flexo, Gravure (including ink testing and ink proofing), Paste inks, Paints and Adhesives, and high tech coatings such as Printable Electronics. 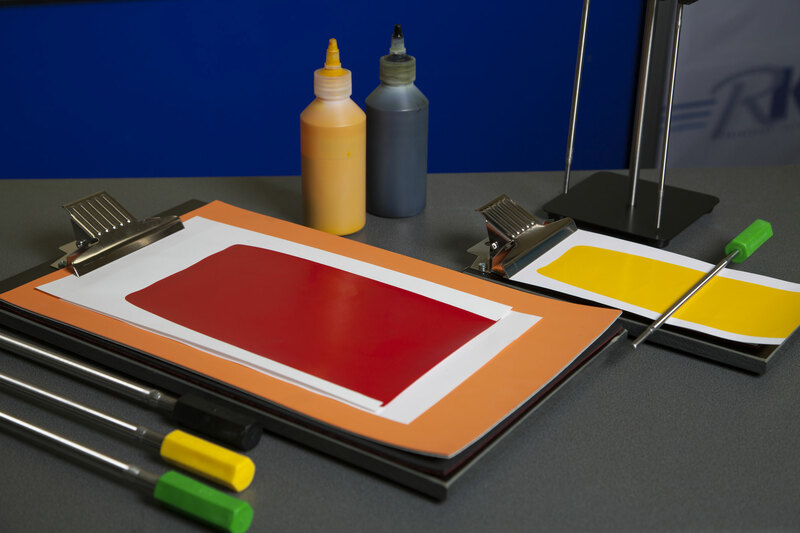 The range of RK’s proofing and testing equipment includes the simple and inexpensive K Hand Coater, utilising K bars (metering bars) & offering an effective method of applying various surface coatings onto many substrates. The major industrial users of RK equipment include printing ink and paint manufacturers, pigment, resin and dyestuff suppliers and manufacturers of textiles, adhesives, papers, films, foils and medical and pharmaceutical products. 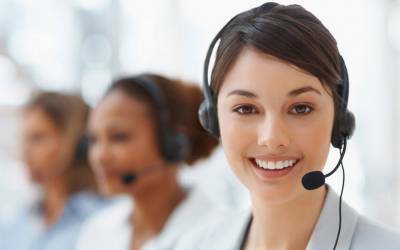 RK Print has carefully selected appropriate worldwide representatives who have a wealth of experience and can offer support. Get in touch now with a local representative today. & offering an effective method of applying various surface coatings onto many substrates. 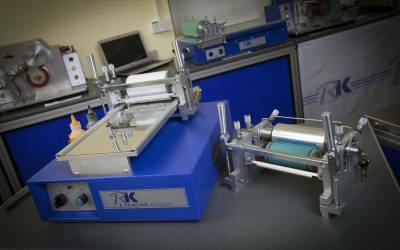 The K Hand Coater provides a simple but effective means of applying paints, printing inks, lacquers and adhesives. 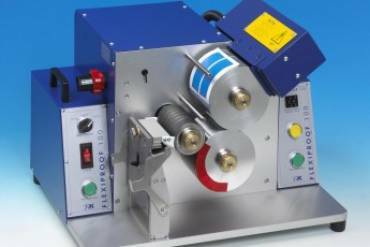 High speed, opertator-friendly machine for the production of proofs using water, solvent or UV flexographic inks. RK specialises in the design and manufacture of equipment used to produce repeatable samples of most surface coatings. These may then be used for quality control and presentation purposes, research and development and computer colour matching data, elements vital to a companys’ success in the modern world.